Peda is a sweet from the Indian subcontinent usually prepared in thick, semi-soft pieces. The main ingredients are khoa, sugar and traditional flavorings, including cardomaom seeds, pistachio nuts and saffron. The colour varies from a creamy white to a caramel colour. 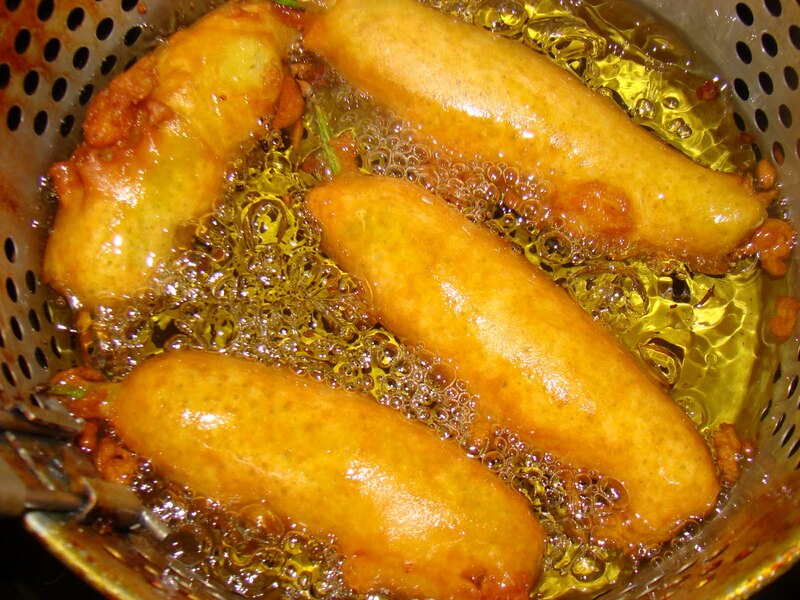 The word peda is also generically used to mean a blob of any doughy substance, such as flour or khoa. Variant spellings and names for the dessert include pedha, penda (in Gujrat) and pera. Peda is the king of all sweets in Kutch. Its an inevitable sweet for any Indian especially if you are from Kutch. Just like ladoos it is sometimes used as Prasadam in religious services. If a family has any happy occasion for instant, engagement, marriage, child birth etc. people distribute Peda as a means of sharing happiness to everyone of their relatives. It's like a must sweet for Kutchis. Kachchhi Peda is a kind of semi hard, caramelized brown and Roasted Peda. Its very famous in local villages in Kutch. My grandparents had lots of milk producing Cattles and my grandma used to always have this sweet in her house, which she used to make from scratch almost every week. I would always looked forward to this cooking event in her household, as just like here we lick the cake batter from the bowl, I absolutely loved to lick the cooked mava from the kadai when she would finish making them. Kutch na Peda in USA: So I decided to make this here with the ingredients available here. This is my favorite comfort sweet ! No nuts, no cardamom, no saffron, no artificial color or flavors ! Just the pure goodness of milk and cane sugar !! Brings back lot if early childhood memories of Kutch where I spend my early years with Bai Bapuji, dada, dadi and nana nani !! Then after every time we visited Kutch for summer vacation, from Agra where I grew up. I always looked forward to enjoying this delightful culinary sweet peda !! I guess you can take a girl out of Kutch but can’t take the Kutch out of a girl !! Just like any other Indian cooking and sweet patience is the key, it takes good long time to make these, no matter how you make them, but the end product is well worth the wait. It took me 3 hours to make these, but I must admit, I made it for the first time here, so did not know what is the yield going to be with all the ingredients I used. This recipe yields 64 Pedas with following ingredients. Add ricotta cheese and break in to pieces with spatula while on medium low heat. Cook it for 15 min on medium low heat constantly stirring with spatula until smooth. Add 2 cans of condensed milk. Cook for another 5 min again constantly stirring until everything is well incorporated. Add 5 cans of evaporated milk. Mix and cook for another 5 min and then add heavy cream. Now bring it to boil and cook for another 10 min. You will see content will start to curdle and thicken a little and that is okay. Now your patience comes in to play. Keep cooking with stirring in between so the thickened milk does not stick to bottom of pan. You will see the content thickened and will start to splatter. I used a silicon screen to prevent from getting burnt from the hot splatters. You still need to cook it for almost an hour and 15 min to reduce the milk with constant stirring. You will see the butter or ghee leave the milk and at this point you will add milk powder and mix well, while the Kadai still on stove. Once everything is well incorporated in to thickened batter like consistency, carefully transfer the content in to a large microwave safe Pyrex bowl. Cover the Pyrex bowl with reduced milk with microwave safe silicone screen so it does not splatter in microwave. You have to cook this in to 5 min intervals. take it out and stir it. You will see the reduced milk will turn light brown in colour. 15 min in to it add 2 cups of cane sugar, mix well. Put it back in the microwave. Once it is becoming thicker you then don't have to have the screen on it as it will not splatter as much, but till will need to stir every 5 min. Cook for another 20 min again taking it out of microwave in interval of every 5 min and stirring. so the milk does not burn and caramelized in to hard lumps. After 30 to 35 min of cooking in the microwave you will see the content hardening a little and will recede the surface of bowl. Take it out of microwave and let it cool for about 4-5 hours until the content is slightly warm to touch. Now with palm of your hands you can make the golf ball size balls and flattened them. Place them in to serving decorative paper cups. You can garnish with pistachio but I did not want to because typical Kutchi peda as just plain just like this and taste out of this world. You can adjust the amount of sugar based on your desired sweetness of your palate. However this to me was perfect !!! As I mentioned earlier this recipe yields 64 Pedas, you can cut the recipe it in to half and may be it wont take as long to make. They taste their best when soft and fresh, however these do freeze well and to serve you can just warm them in microwave for few second and they are as good as freshly made.